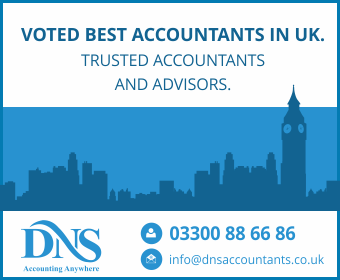 DNS Associates – Accountants in Edgware, is one of the largest assurance, tax accountant, and advisory firm in the United Kingdom. For all businesses that need high quality accounting advice, DNS Associates has the breadth and depth of knowledge and technical expertise to help. DNS Associates provides financial accounting and accounting technical advice, support tools and guidance which will help businesses to improve the quality of financial reporting. Our qualified team of chartered accountants and tax professionals works directly with the owners/directors/partners of small-sized owner-managed businesses. We are already helping people in need of Pensions, Auto Enrolment, Personal Insurance, Mortgages, Basic Accounting or Business taxation/accounting, etc. Our clients count on us to help them transform uncertainty into possibility and opportunity from even the unforeseen obstacle. Statutory Accounts – Each company registered at Companies House is under a legal commitment to prepare and submit annual accounts. Our expert team of chartered accountants at Edgware explains every step and ensures complete transparency right through the process. Accounts Management and Business Plan – Our chartered accountants and accounting professional in Edgware, pay attention to details and grasp of all financial matters to offer an expert accounts management and information service. We, DNS Accountants – Accountants in Edgware, offer guidance and support to private clients and businesses by performing the convoluted and detailed analysis with the utmost effort to reduce tax exposure. Self assessment and income tax return – It is essential for many businesses, individuals, and sole traders to complete their tax returns on time and even more important to minimize the tax exposure once earnings go above the NIL tax rate thresholds. DNS Accountants expert tax accountants help our clients to prepare tax return accurately and promptly. DNS Accountants – Edgware associates accountants, the team of experienced and qualified chartered accountants provide specialized accountancy and tax services that are tailored to the personal and business needs of freelancers, contractors and small-businesses. We are focused on providing personal and specialized services to local businesses operating in Harrow, Bushey, Pinner, and Stanmore.